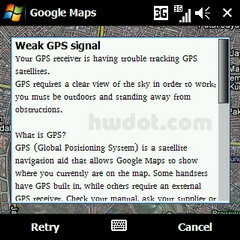 How do i get i780 working with GPS satellite with Google map? 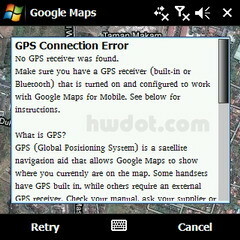 Your Samsung i780 Windows Mobile smartphone can't get the GPS satellite working on Google maps, when you go to enable GPS, all you get is seeking gps satellites (0) and can never lock onto anything.. It can't connect to GPS!! Go on reading if you really have these i780 gps problems, are stuck with the i780 gps settings, and need to activate GPS on your i780. 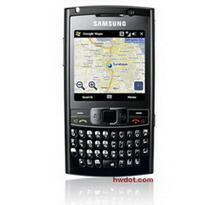 Samsung SGH-i780 comes with built-in GPS. It simply doesn't come with any software (like iGo, TomTom, Garmin) but with enabled External GPS and Enhanced GPS (AGPS) control panels in settings. A typical aGPS-enabled cell phone will use a data connection (internet, or other) to contact the assistance server for A-GPS information. Instead of relying only on the internal GPS of the device, it also connects to a server, and downloads information to help access more satellites, and locate you quicker. Unfortunately, The downside is that it uses data, therefore costs, to use A-GPS. With GMM you can download Google Maps for mobile to your phone, and never carry a paper map again. With the app installed on your WM smartphone, you will be able to determine your current location with or without GPS, get driving and transit directions. You can get phone numbers and addresses for local businesses. + My Location. See your location on a map, even if you don't have GPS. + Business listings. Search for any business or category of interest. + Driving directions. Thanks to My Location, you don't even have to enter your starting point. + Transit & walking directions. Get routes and schedules to travel via subway, bus, or on foot. + Latitude. See your friends' locations and share yours with them. Start Maps and then select "Join Latitude." + Street View. View street-level imagery of businesses and turns in directions. + Layers. New! View layers of geographic information (e.g. My Maps, Wikipedia, Transit). + Traffic. Real-time traffic helps you find the fastest route. + Enterprise. BlackBerry administrators can deploy Maps for BlackBerry Enterprise Server. How to unlock Samsung i780 GPS? 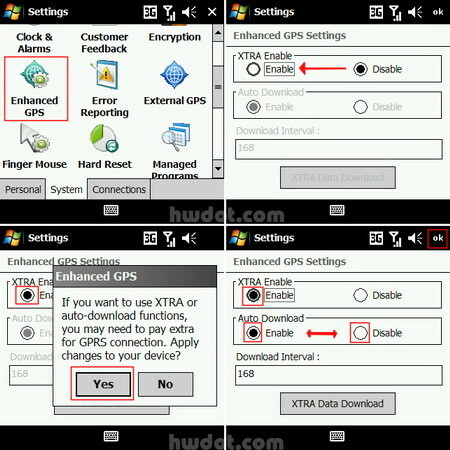 Here are some tips you can try to make the GPS run, enable/activate it. 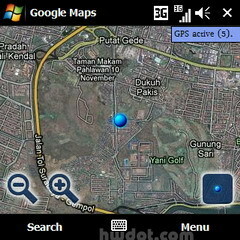 No additional software was required - only Windows Mobile 6.1 Professional and Google Maps. Firstly, The details of my device are > PDA:i780PDXHL2, PHONE:i780PDXHL2. Google Maps works with the i780 GPS, I had to change the GPS settings. Apparently, after setting the GPS to Program port COM4 and Hardware port to COM9 (4800 baud rate). My settings that work for me! The default gps program port for i780 is GPD1. Change from GPD1 to COM4. Click OK. Sometimes I need to enable the enhanced GPS for Google Map to work. + Put XTRA Enable to "enable". + Auto download (I used enable). You could put it to "disable" so that while connected you download XTRA data manually. **Optional: Not sure necessary just in case: Restart your SGH-i780. "No GPS Receiver was found. Make sure you have a GPS receiver (built-in or Bluetooth) that is turned on and configured to work with Google Maps for Mobile.."
"GPS (Global Positioning System) is a satellite navigation aid that allows Google Maps to show where you currently are on the map. Some handsets have GPS built in, while others require an external GPS receiver.."
How do I Configure GPS? "Use your phone's main menu to configure the GPS or Positioning settings.." "In this control panel, check that the settings are correctly configured for your device." How can I improve GPS reception? "GPS requires a clear view of four satellites in order to report an accurate position. To improve reception, stnd away from obstructions such as trees and buildings, with a clear view of the sky." That doesn't mean your beautiful Samsung i780 has no GPS Receiver. Your Samsung Blackjack II smartphone comes with built-in GPS! Just "Cancel" and do Steps 4. below. + Under My Location Settings, i select "Set manually", COM4, and 4800. It simply works fine. (However, If manual setting doesn't work, you could probably use "Managed by Windows"). + It will automatically connect to GPRS. + Google Maps will say something like "Seeking GPS satellites (533331268)...". or "Seeking GPS satellites (0)...". Please wait and put the Samsung i780 GPS Phone on your car and do not touch it until it locks. It used to take 2 to 3 minutes to lock a satellite and that too in open area, if you use Enhanced GPS it will takes much less time. Oppss, you see the following message: Weak GPS signal. That means your GPS was activated! It's only having trouble tracking GPS satellites, Try it on a clear sky without any trees or building if possible. There will be a "Seeking GPS satellites (533331268)..." or "Seeking GPS satellites (0)..." in the upper right of the Google Maps screen. This may continue on for a minute or so and when it gets a fix on satellites it will say "GPS active (n)" (n = number of satellites acquired). It says "GPS Active (3)...". This means it has locked the GPS satellites and is tracking your current position. The number for GPS Active is how many satellites your phone is using to track you). + It already locks, you can do what you want with it. The GPS works great. I receive a usable signal of 3-6 satellites, sometimes even more. >>>IF ALL THE STEPS above (1.2.3.4. and 5.) STILL DO NOT SOLVE your problem, You can't get any GPS connection. A. You might need to wait several minutes for the GPS to get a fix the first time on GMM, but after the first time it should take less time. B. You could try every COM port, setting the baud rate to every value. Tell me if it works on your Samsung BlackJack 2 (SGH-i780)... 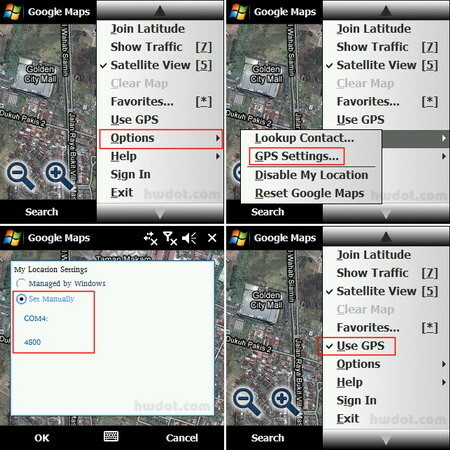 I hope your Google Maps for Mobile will detect gps, without any GPSgate, gpssplitter etc. Good Luck! 11 comments on "How to use GPS with Google Maps on Samsung i780 (Problem + Settings)"
after the setting, does it need gprs connection to run the gps? Nice level of information here. There is so much data around about this subject that sometimes you cannot see the wood for the trees but you have pitched this at just the right level so that the lay person can understand - thank you! from the screenshots, i noticed there is 3g connection icon (2nd icon), which means there is internet connection to assist google map. i am thinking of no internet connection mapping like garmin, mapking, etc. I have it saying "searching for sattelites (0)... (my transalation to english). And stays that way. I have a-GPS enabled, and my HTC Dream works perfect in the same location. Am going to sell this phone, and wanted to test that everything works first. Damn it, had the same problem when I used it myself some time ago, and I know some settings like this helped, but not now. Why can't it simply work automaticly? Oh thanks. I really needed the tutorial how to use GPS with Google maps. Your tutorial gave me a clear idea how to use it and I believe that I can do it now easily.